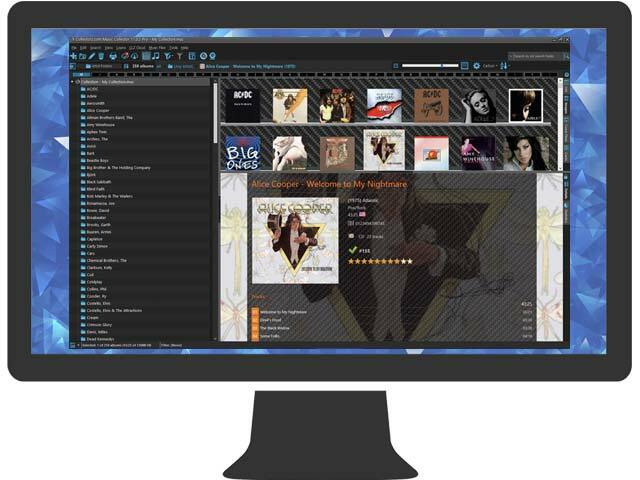 Store music data & images locally, optionally sync with our free CLZ Cloud storage. List, Images or Card View for your album lists. Different templates for the album details panel. Just insert the CD to have the program scan its' CD-ID, then use the CD-ID to search our central online CD database (for CDs only). Enter or scan the CD barcode to search our online CD database by barcode (for CDs only). Enter the Artist and Title and select the best match from our online database (great for both vinyl and CDs). Full track lists, with song titles, artists and track duration info. Cover images (front and back). share your album list online, for friends and family (example). Export your music database to Text or XML files. Print album lists in any order, with your configurable columns. I have had the Music Collector on my desktop for several years now, but just never got around to loading it up with my CD's and iTunes music. For the last couple of weeks, I have been going through all kinds of things in my house, scanning to my server, purging, tossing things I don't need anymore, etc., -- something I've been trying to do since I retired. Loaded my old .muc file which converted perfectly although I have miss placed my cover images? About 3/4 downloaded OK the rest I downloaded using the edit function and search.